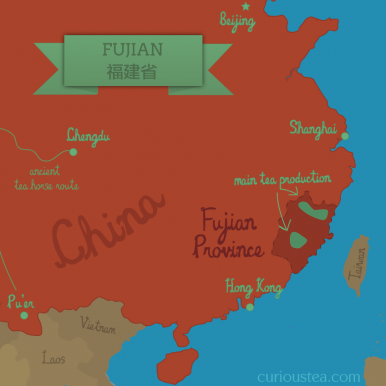 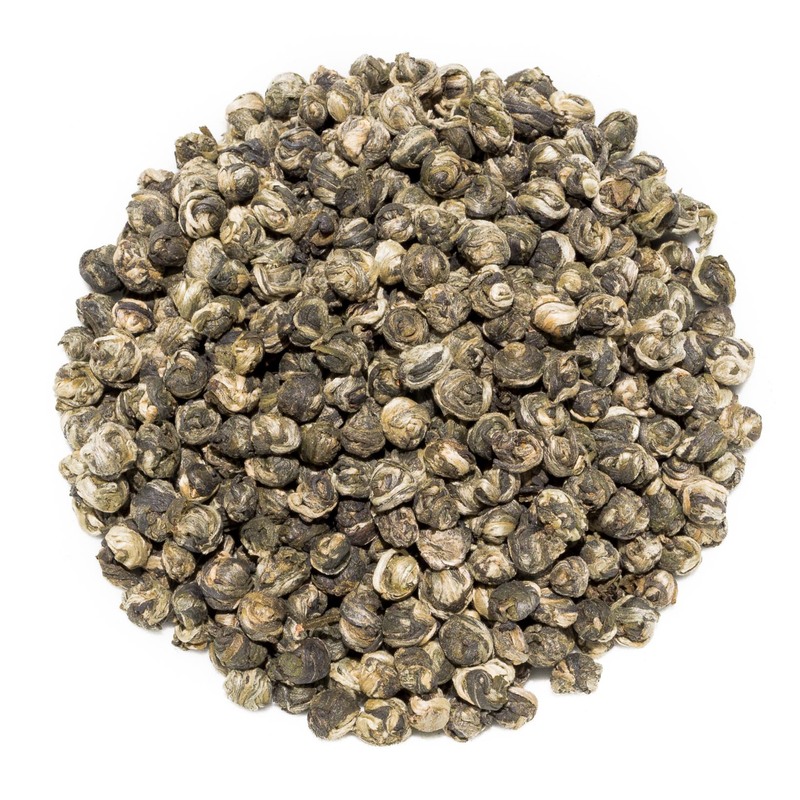 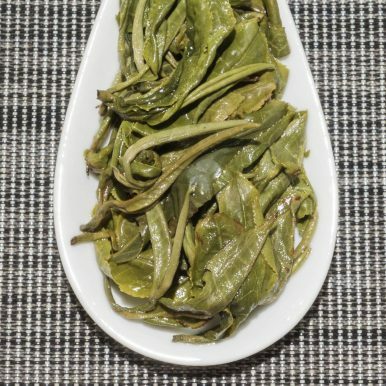 Bai Long Zhu White Dragon Pearls (白龙珠) is an exquisite white tea from our producer in Fuding, Fujian Province. 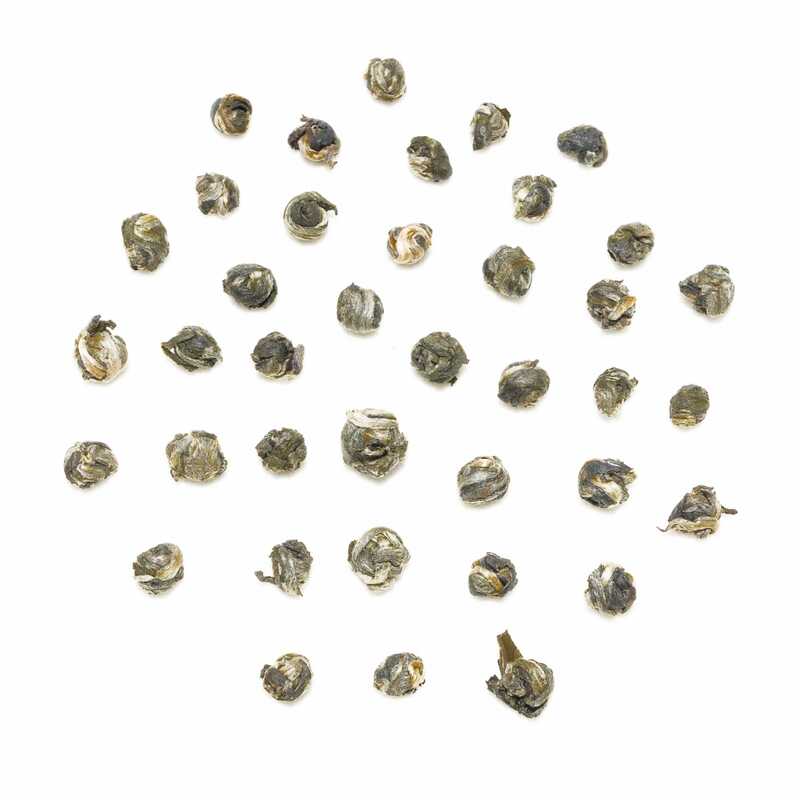 It is grown in a fully organic tea garden at an altitude of 800-900m. 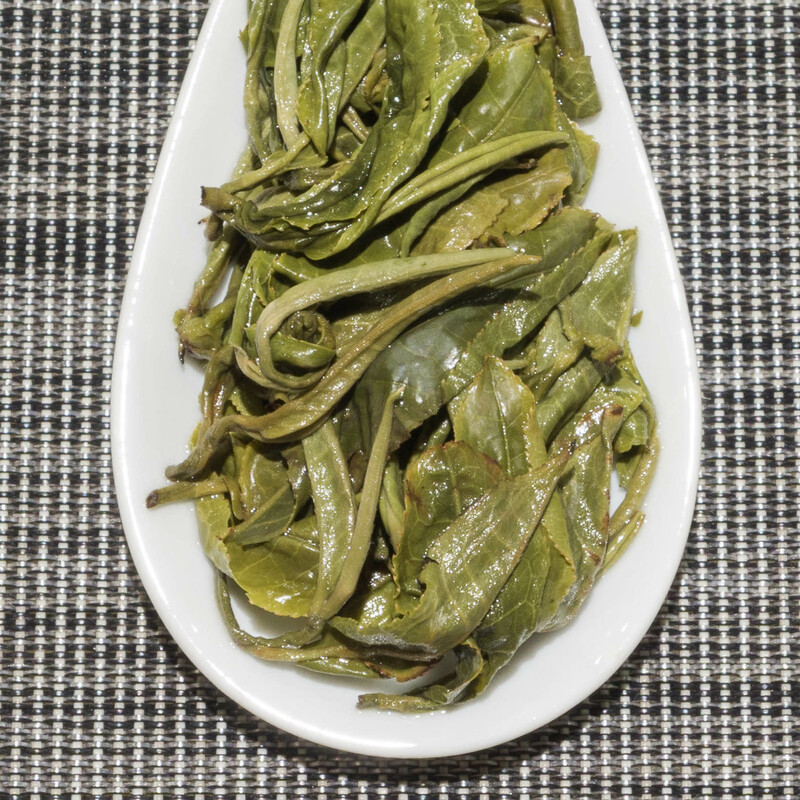 This tea was hand plucked from the choicest buds, plus one to two leaves, in April 2018 after which it was hand rolled and finished. 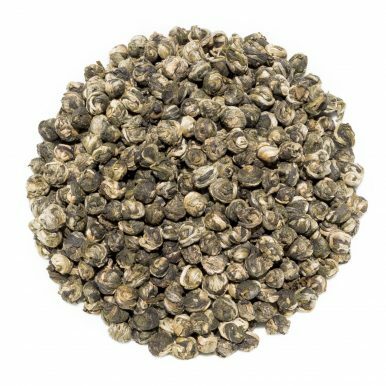 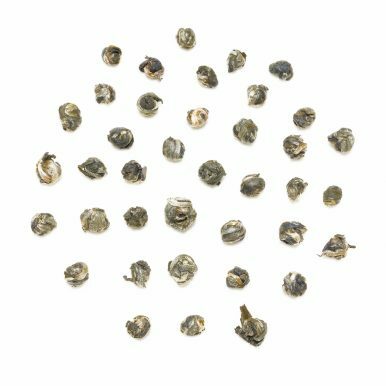 The rolled silver pearls of this tea have a lovely fruity and floral aroma, producing a pale liquor with a faint fruity fragrance. 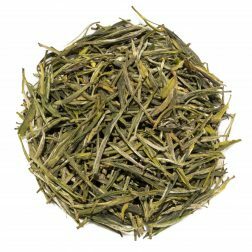 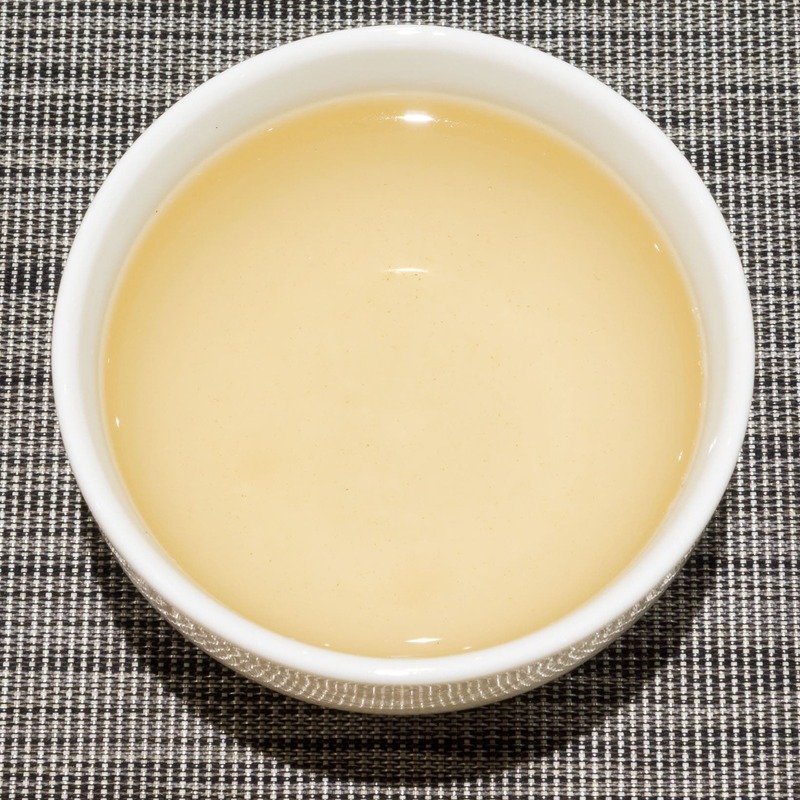 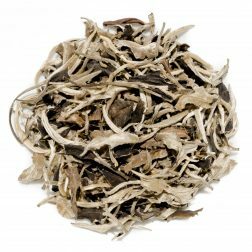 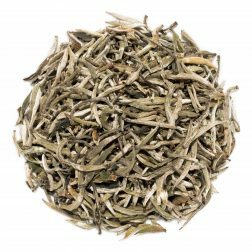 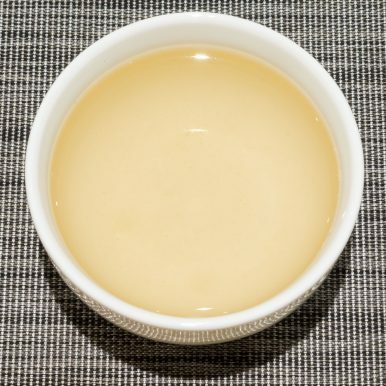 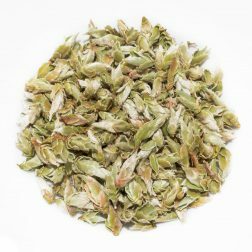 This tea has a very comforting and pleasing character that is smooth and light with a sweet fruity edge. 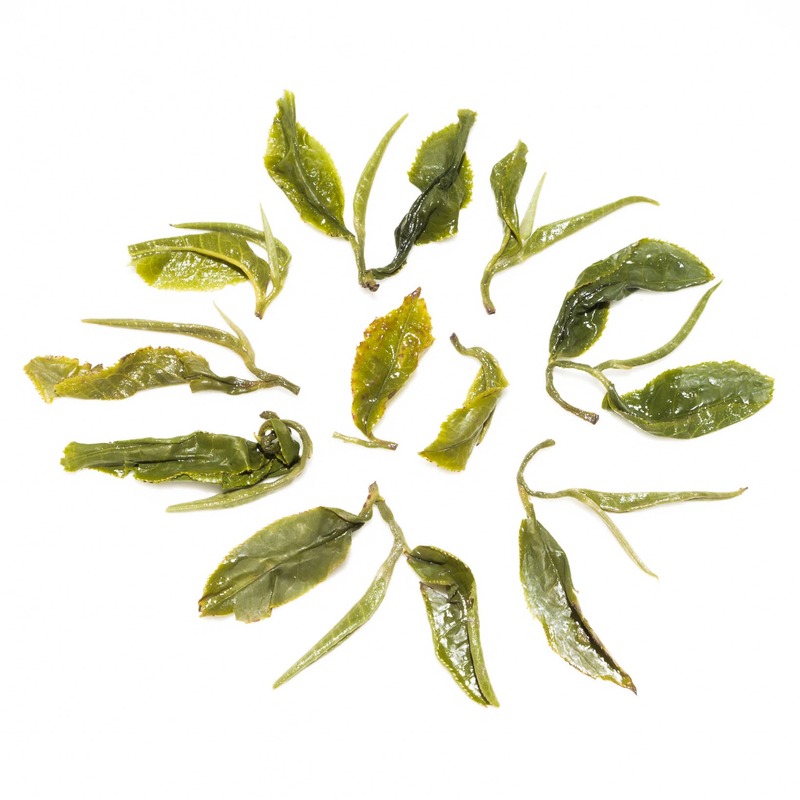 The sweet peachy taste is perfectly balanced by top citrus notes of yuzu. 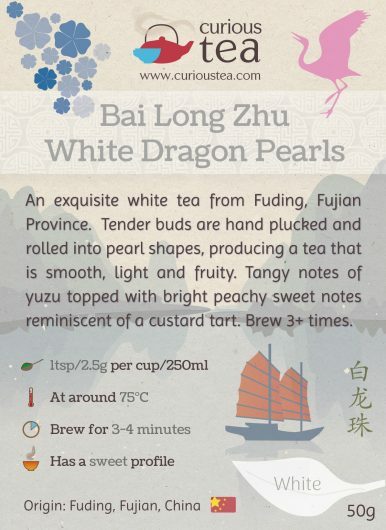 The overall flavours of Bai Long Zhu White Dragon Pearls make us think of a peachy custard tart – perfect as a drink on its own or paired with sweets.